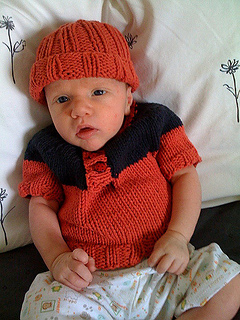 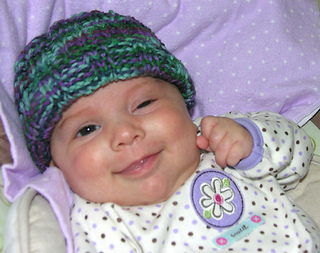 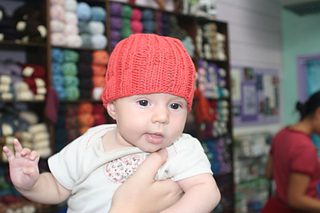 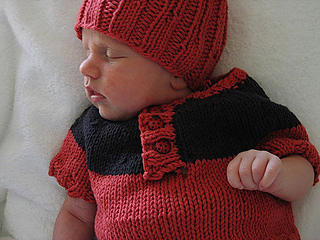 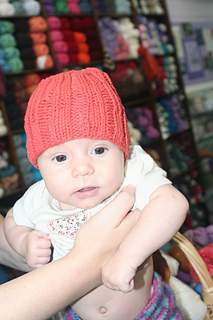 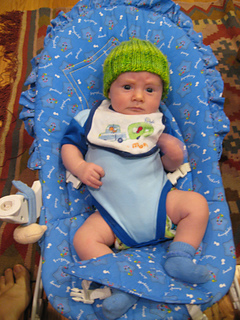 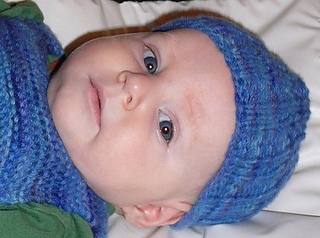 Knit up a super quick ribbed baby hat with worsted weight yarn! 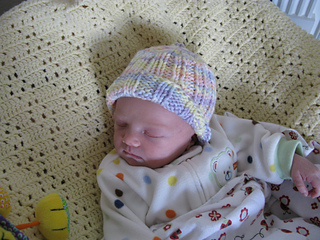 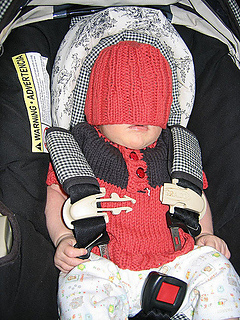 Or use any multiple of 5 stitches and a different weight of yarn to knit a baby hat, adjusting the decrease rounds if necessary (i.e. 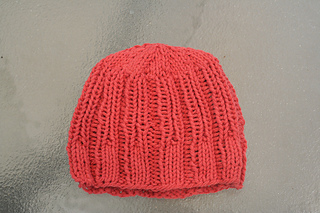 you can always start with R3 if you have a multiple of 5, but then you might need to do more k2tog rnds at the end in order to get few enough sts – decrease until you have less than 8, then cut yarn and pull through remaining sts), OR knit an adult hat by knitting the middle section until the hat is 6 inches long instead of 4 inches long and adjusting the decrease rounds if necessary as just described!